Which of These Fitness Trends are Here to Stay? I am a calling trend that has come and gone on this one. This device was popularized by Suzanne Somers who played the iconic role on 70s/80s sitcom Three’s Company. This device promised women to have shapely thighs if they sat down and squeezed this thing for long enough. 8 Minute Abs, 7 Minute Abs, 6 Minute Abs? This series of videos or “genre” of workout became popular in the 90s and has come and gone somewhat. Unlike the Thighmaster, there have been multiple variations of the ultimate crunch workout videos that are supposed to give anyone a 6-pack…and in just a few minuted a day. Diet is just as important so the jury is still out on this one as possibly a fad that has taken on other names. This cardio machine has stood the test of time. It is actually a great way to simulate cross-country skiing, giving the lower and upper body a thorough workout. They are also somewhat portable, at least the newer versions, and you will find many of these in gyms across the world. Like massage, this is an ancient art. Its roots can be found in India and is supposed to encompass medidative states as well as working out the body. This one is definitely not a trend and has only become more popular in the last 10 years. Even apparel companies like Lulu Lemon have literally grown out of the popularity of yoga. Cardio classes based on the action of drumming have grown in popularity in the last couple years. Inevitably, people have noticed how sweaty drummers get during a concert. So, one or more clever people thought, hey, why not make a program based around that activity and combine it with high energy music. It is a bit early to tell but this one seems like it has some legs and will be here for a while. This was definitely a trend that has come and gone like the 80s. In this particular video you may get a good chuckle at the seemingly out of date music, outfits and even speaking. (hey, at least they were staying fit). These athletic straps can be seen in home gyms and large gyms across the world. This is definitely not a trend and more of a staple of many different workouts that are here to stay. The story is fascinating. The founder was a navy seal and was stationed in an area for months where him and his team needed a way to stay in shape. By accident, he saw his karate belt hanging out of his gym bag and started to adjust it on the door in a way to generate resistance. He was absolutely determined to improve the process as well as promote the benefits of these versatile straps. The rest is history. This one is here to stay. It combines segments of circuit training, cardio and heavy lifting all in one. And the popularity of social media and fitness apps have actually made this one competitive on social networks. There are plenty of crossfit classs that have members automatically posting their results on Facebook for bragging rights. In this movie clip about Bruce Lee in “Dragon” he is portrayed using shock therapy electrodes on his torso to build muscle strength. He claims in 3 minutes it was like doing 200 pushups. There is a new community called “biohackers” that are always looking for new ways to improve their health with the use of measurement and unusual supplements and training techniques. They have revived this type of treatment so we will see where this one goes. No matter what your workout of choice may be, if you are breaking a sweat without hurting your body, it is likely better than sitting around! This plays into a bigger theme that has been given more scientific attention lately. The mind + body connection is undeniable and doctors like Dr. Perlmutter who is a western trained neurologist discuss this connection regularly in their works. Cortisol is the famous stress chemical that increases in the blood stream often as a result of anxiety. It causes inflammation and a myriad of physical problems throughout the body. Combatting cortisol is key in health management according to many, and massage therapy has been proven or cited numerous times as one of the top ways to manage the release of cortisol and its reduction in the body. 2. Presentation originally given at the May 2010 Highlighting Massage Therapy in CIM Research Conference in Seattle. So often we approach medicine and even physical therapy and massage from the vantage point of “Ok I have a problem, please fix it professional person.” However, the mind often forgets that preventing a problem before it happens is the ultimate strategy for health management. And to quote Mr. Miyagi from The Karate Kid “Remember, best block, no be there.” Think about a successful manager who stops problems before they begin and how rarely he or she gets the credit for being awesome? The above publication often describes that strategy. This is an entire book about how cortisol ruins your health. And specifically, in regards to weight management, many of us struggle. Our ancestors had to forage for food and burn calories in the process, but since the agricultural revolution, calorie rich foods are abundant and inexpensive. So add high cortisol levels to the mix and we are in for quite a challenge. One that can be overcome with discipline. Even Rudy Tanzi mentions at the time of this interview, had someone asked him some of these questions 5 years prior regarding epigenetics, the concept of altering genes with mind and experience, he would have said it was science fiction. This is very supportive of the mind body connection that has been indirectly or directly referenced on this list. It does not mean that everyone has to do yoga. However, when considering the health vantage point that mental and physical activities and therapies once again are shown to reduce the chemical cortisol, it adds to the evidence that it needs to be given attention. Their study concludes that it warrants further exploration as a topic of health interest. And the UCSF has one of the finest medical research departments in the world. The purpose of this list of research studies, interviews and videos from medical professionals was to paint a strong picture illustrating the mind + body connection. Until the last few years, this type of thinking was more on the fringe. However, with the proliferation of the internet and examining scientific evidence, it is hard to ignore the connection. And taking cortisol, one of the simplest to observe regarding this phenomenon, can be greatly reduced with certain activities. One should consider therapeutic massage even if they do not have an accute ailment. The potential to reduce cortisol levels with a skilled massage therapist could have multiple medical benefits according to the studies listed here. Those who are massage professionals or regular clients and athletes using massge therapy are aware of the extreme benefits of the practice. However, the recent popularity of the 2016 Olympics in Rio have brought awareness to the world once again. It doesn’t just stop at cupping which was made super famous by legendary swimmer Michael Phelps. There is another and lesser known technique called the “Emotional Freedom Technique” or “Tapping” which was used by a famous 400 meter runnerm in the Rio games. “What follows here is a first-person account of providing soft tissue work to athletes, and how that work has evolved in the world of professional sports, from soft-tissue therapist Richard Lomeli, C.M.T., whose clientele consists of professional athletes. Lomeli was a massage therapist on the Los Angeles Kings professional hockey team’s training staff for the 2014-2015 season, and has worked with NFL and track-and-field athletes, and professional triathletes competing around the world. “Advancements in the approach to training, conditioning and nutrition [have] definitely played a heavy role in the increase of athletic performance over the years,” Lomeli said. “It almost seems like we can expect to see new records made during the Olympics. Whether an athlete or normal hard working person going about your daily routine, it may be time to explore a relationship with a licensed massage therapist. Have You Ever Heard of a Virtual Reality Massage? And in other news virtual reality is becoming stranger and more fascinating by the day. yes you read the headline correctly. So what does this mean for example? Isn’t virtual reality or “VR” just about gaming? Apparently there is a German company that is combining technology from the Oculus Rift headset and a massage like chair to give the user an almost realistic experience. The keyword here is almost and that is a far stretch. The founder does admit it is a prototype and not ready for the market. And replacing the blood flow, muscle relaxation and other benefits of a professional, licensed massage therapist will not be replaced anytime soon. However, this is so bizarre we thought we’d report on it. Do you think as this platform gets more advanced, they might combine it with real massage? Even before the recent popularizing of the cupping technique by Michael Phelps, there were some celebrities engaging in this tpye of therapy. Some celebrities get a bad rap in that they do things because they are trendy. That discussion has definitely taken place in regards to some of their cupping appreciation. However, many of them also have access to some very sophisticated and talented massage and health professionals who think it is a very beneficial practice. What is This Cupping Thing All About? You also may or may not remember the academy awards about 8-10 years ago where many famous actresses showed off their cupping marks. That was probably the first time the practice had gotten a lot of attention in the media. It was used as part of a massage therapy regiment that these actresses swore was an effective technique in releasing stress and even releasing toxins from their tissues. It is somewhat ironic however that it was more of a fashion statement at the time. It wasn’t until Michael Phelps was seen to have similar marks that the technique got a lot of attention as a health technique. We would advise discussing with your team of medical professionals and massage therapist to see if it is right for you. As mentioned some of the reported benefits include increased blood flow to the area. Also, for those who suffer from muscle spasms this technique is reported to loosen up those areas and increase the speed of healing time. The history of it has remained somewhat elusive and debated. It spacs thousands of years in its history. Some people say it absolutely came from China and others say it is Egyptian. The jury is still out on this one but it definitely warrants further investigation as a potentially beneficial practice. Whether you are a LeBron James fan or Steph Curry it makes no difference. Just about all top athletes engage in massage and flexibility training. Have you ever wondered how they can ground and pound for so many years? A lot of it has to do with the blood flow and therapeutic properties that happen with such activities. Although pro teams have millions of dollars to spend on licensed therapists and trainers, you don’t have to break the bank to get involved in a similar regiment. There are top shelf professionals who you can book hourly which costs less than most doctor’s visits as well as other types of treatments. And, preventive activities have health and cost savings that are tough to measure if they fended off a would be injury before it happened. It is very exciting to see the mass adoption of this industry. And as mentioned in a preevious post, doing your research on the right relationship with a professional is important. Feel free to reach out by phone or email and don’t be afraid to ask some questions. This is the best way to get a feel for the person you select to work with. “News about problems related to opioid use confronts us every day. Those problems include opioid overprescribing, addiction, overdose and death. Although medical experts say opioids can be effective tools when used properly, evidence shows they are being used improperly. The release of three new reviews on the benefits of massage therapy for pain relief could raise massage therapy’s profile, leaders in the massage field say—for it is pain that drives many Americans to an opioid prescription, and sometimes on to opioid or heroin abuse; addiction; and, too often, overdose. Although we are looking forward to viewing more evidence, this sounds promising. Anytime a form of treatment like massage which has no side effects can benefit someone suffering from addiction, that is a win. Also, the costs of many prescription drugs can be overwhelming so the potential cost benefit may be worth noting as well. Check back for updates into this positive development regarding the industry. Now we have access to so many schools of health. And of course, maintenance of one’s heath does not need to be rooted in only one segment. Many of these wellness categories have synergistic benefits for different people. And within this giant industry, massage therapy has reached beyond critical mass. It has proven itself to be a vital part of many people’s continuing health in addition for those who need rehabilitation. In terms of categorization, it overlaps with at least four of these categories. The purpose of these statistics are not just for intellectual curiosity. It is to demonstrate just how widespread and important massage can be within this industry. Can Sports Massage Promote Muscle Growth and/or Range of Motion? In a very fascinating instance, NFL draft hopeful Brandon Allen from the University of Arkansas reported that he experienced an increase in hand size after receiving a series of sports massage sessions. His hand size measured at 8 1/2 inches and increased to 8 7/8 in the course of about one year. To be reasonable this sounds more like an improvement in range of motion or a loosening up due to the stretching benefits of massage. This is so interesting we thought it was worth noting. For quarterbacks in particular, this can be important for their grip on the football. Now what does this mean for non football players? We are archiving some potential indicators that sports massage may improve range of motion which can be important for athletes and non athletes as well as other types of medical rehabilitation. Let’s take a look at some other related examples. “The client presented with an insidious onset of LBP and pain that radiated into the right lower extremity (sciatica). The client had been experiencing this pain daily for the past 9 months. Frequency, duration, and intensity of symptoms were recorded in a daily diary beginning the day after the client’s first visit with the massage therapist. Manual therapy was administered once a week; each session lasted 45 min and consisted of a structured protocol directed mainly toward muscles of the lumbar spine, pelvis, thigh, and leg regions. The increase in blood flow and any dissipation of lactic acid could likely speed up your muscle recovery hence enabling you get back to training, lifting and further physical therapy sooner. In conclusion there seems to be an overwhelimg amount of evidence that sports massage improves range of motion as well as speed of muscle recovery. In terms of verifying other instances such as in the case of quarterback Brandon Allen, where a body part seemed to have grown as a direct result, stay tuned. We will be scouring archives of medical studies and report on the latest findings in the next post. That is a good thing. Embrace the experience that we have attained and don’t worry if you feel like your condition sounds unusual or different. We will work through anything. Every person specializes in something. With us of course it is the physical improvement and maintenance of your body. That being said we care about all of our clients and always want to connect and know how you are doing. And we are interested in sharing things in our life as well. Although somewhat cliche, this is a must in rehabilitation and maintenance of health. When it comes to sports massage especially, the body releases a lot of toxing and does a lot of healing. This requires lots of H2O. If you have a question on any technique, how something feels and week to week improvment please tell us. Guaging progress as expectations is a key component. Sometimes it is the little things that make the most difference. And these little things take time. Staying flexible and limber can be critical in many aspects of massage therapy depending on the area. Let’s make sure you stay disciplined here. In today’s day and age we see images of athletes in Sports Illustrated, actors and actresses in the magazines at the checkout lines and on the big screen. This can be confusing for many as the “image of perfection” may be somewhat of an illusion. Be comfortable with your body around us. Although there is a time and place for that type of massage and it can be wonderful, we as massage therapists go through a lot of education and training to perform at a certain level. It is a totally different discipline and we take pride in the type of healing and maintenance that we do. Even tough guys and girls who lay it all out on the field and hit the gym a lot still get some of these modern office injuries. Just about everyone has a computer and smart phone and probably spends too much time on one or both. Stay alert for these even as an athlete. We take pride in what we do and the best professionals will stay up to date, attent seminars and keep current with training. Feel free to ask us about what we learn through our yearly research and what we are seeing day to day. Trusting your massage therapist is so important. It is a very up close and personal experience and it is important to communicate and work with someone not only who is experienced, but who you feel comfortable around. And if you are new and selecting a professional, reach out by phone and get to know them better to see if it is a strong fit. More professionals and studies are coming to conclusion about the mind body connection. There are also many famous podcasts that discuss this topic. Two examples are the reduction of cortisol that can be achieved through massage and increased blood flow. Many professionals feel achieving both of these will improve immune function and reduce stress in the process so it can be a win win. With the advent of social media it is easier to get a referral for a qualified therapist in your local area. Prior to the advent of smartphones and Facebook, Instagram, Twitter and the like, this still was possible but likely involved picking up the phone and emailing random contacts from your list hoping to get lucky on a reference. Now, all it takes is a post to the Facebook wall asking for a strong sports massage therapist for example or Tweeting your contacts or @ certain people in the know. The exponential reach of referrals through social media is mind boggling. You will likely get a lot of replies from friends and friends of friends with a strong prequalified reference. More apps and even mobile sites with online booking systems are making it easier than ever for a massage therapist to come to you. In office and facility appointments are great but the option is becoming more flexible. Apps like Soothe and other niche directories are making tyhe search for a professional who will travel to you seamless. “90% Of Customers Say Buying Decisions Are Influenced By Online Reviews” So, 9 out of 10 of your customers are searching directories such as Yelp and other portals to conduct research. This included tphysical therapy and massage professionals. At first glance this may sound like an obvious statement. However, with improvements in information sharing and taylored meds to our DNA and other biological factors, this will likely spread to the massage industry as well. We have barely scratched the surface and this could influence the frequency and technique of your maggage sessions sooner than you might think. Before things get to this stage, you should always consult with medical professionals. In addition, many believe that massage can help alleviate these tech-related injuries before they happen or during the initial onset. As the U.S. and many other nations around the world have transformed into a service based economy, that means more adults are sitting for longer periods of time in front of a computer. In the 1920s a good portion of the population grew their own food which got them away from the chair. Currently in the U.S. less than 2% of the population farms. This can be economically beneficial in that there is more time for logistics, design, planning, research and other desk-based productivity. However, our bodies are being left behind in this information society and it is hurting our backs. It is definitely wise to break up the sitting and incorporate some activity as per Bradley’s advice. However that may not be enough, and if you have an existing back problem from this modern day environment massage can be an extreme help. Releases “Feel Good” Chemicals A back massage stimulates the production of endorphins, dopamine and serotonin, chemicals that make the body feel good, according to Beth Mueller, RMT, in her article “Massage Therapy for Lower Back Pain” on the Spine Health website. This helps manage pain and may allow you to r educe the amount of painkillers you take. A back massage can help decrease pain in the lower back, which may help prevent anxiety and depression. We definitely live in a society where a lot of the doctrine is to medicate and administer surgery first and foremost for any ailment. Medicines and surgeries definitely have their place and have revolutionized the health industry. However, in certain areas of injury sports massage and physical therapy may be as effective as surgery with a fraction of the cost and discomfort. Lumbar spinal stenosis is a compression of open spaces in the lower spinal column, and it can lead to pinched nerves, tingling, weakness and numbness in the back and the lower extremities. Up to 2.4 million Americans may end up suffering from this condition by 2021 according to the American Academy of Orthopedic Surgeons. Zesty and Soothe are two massage booking platforms that are starting to take hold in 2015. As the benefits of all types of massage are becoming more well known and accepted, technology companies are helping to bridge the gap between clients and professionals. Zesty raised $7.2 million dollars and has started in Europe as a general wellness booking system. One of the main button choices on the fisst screen on their app is Sports Massage as it is becoming recognized as a pillar of general health as well as rehabilitation and preventive medicine for athletes and non athletes. Soothe.com is a more general massage focused platform where you can choose from any type of massage whether it be sports, swedish, deep tissue, thai and more. It also features the ratings and pricing as well as skill sets of different professionals so you can better select the right individual. 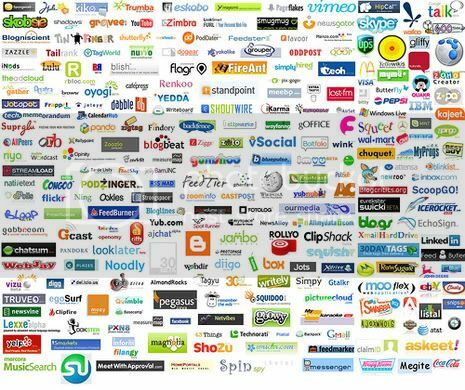 Prior to these apps there were yellowpages.com, thumbtack, yelp and the like which are more general systems for finding professionals in any industry. They are great sites but the health and wellness industry keeps expanding, it makes sense to have focused massage centric systems. Sports massage should be a regular part of every athlete’s training program. Athletes have different massage needs at different times. There are three basic categories: Pre-Event. A quick treatment (rhythmic pumping) is a supplement to warm-up. It boosts circulation and increases flexibility and range of motion, thereby reducing muscle pain and soreness, leaving muscles relaxed and ready for action. Pre-event massage can help prevent muscle and tendon injuries and reduce the strain and discomfort of training. It also can be a great psychological advantage in competition. Post-Event. Recovery after a competition involves not only the normalization and repair of tissue, but also general relaxation and mental calming. Post-event sports massage increases circulation to quicken the removal of fatigue toxins, relieve muscle spasms, and prevent soreness. It is used to assist athletes in recovery and in regaining their pre-event condition by relaxing tight, fatigued muscles, tendons, and ligaments. Sports massage is more than just a reward at the end of a workout. It is a vital tool for keeping athletes primed for top performance and even lengthening their careers. Recognized as an important part of a regular maintenance program, sports massage is widely used by individuals, teams, and Olympic and professional athletes. What Areas Will Be Massaged? Sports massage may focus on specific muscles used in your sport or fitness activity. For example, areas of greater stress for runners and cyclists are the legs and lower back; for swimmers, the upper body.